Sleeps up to 6 people. Welcome to Serenity Holiday house located at 2 Finke Street, Kirton Point in Port Lincoln which is just 2 km from the CBD.slide-serenity Renovated and fully self contained. Great stop over or extended holiday accommodation for the business trip, family holiday or the romantic getaway. Master Bedroom with Queen bed. Second Bedroom with bunk bed (2 single) Third bedroom with a Double bed Lounge LCD TV on wall, DVD player and TOY BOX Fully equipped kitchen; Stove, microwave, Full size Fridge. Reverse cycle air conditioning. High Chair/Portacot can be supplied on request, no extra cost Laundry Facilities-Ironing Broard & iron All linen and towels are supplied, no beach towels. Main Bathroom with toilet Gas BBQ and outdoor setting Large private garden with fully fenced yard Secure Single car garage and plenty of street parking. Views of Boston Bay and the wharf. Sleeps up to 7 people Oxford Holiday House is a large 3 bedroom house which has been renovated and fully self contained. This centrally located home is only a 5 minute walk to the town centre and the well known Port Lincoln Hotel, where you can grab a quick bite, dine formally or dance the night away The location of Oxford Holiday house is also great for families. Newly renovated 3 Bedroom House Master Bedroom with Queen bed Second Bedroom with Queen size bed. Third bedroom with bunk bed + single bed Lounge; 106cm Plasma TV, DVD player & toy box. Fully Equipped kitchen; microwave, fridge etc. Brand new gas heater. High Chair/Portacot avail. on request, no extra cost. 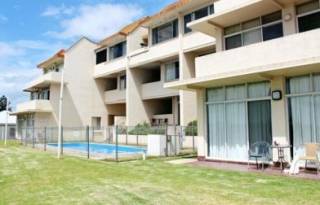 Laundry Facilities-Ironing Board & iron All linen and towels are supplied, no beach towels. Large 2 way Main Bathroom with toilet Gas BBQ and outdoor setting Small private garden with fully fenced yard. Carport; room for 2 cars + plenty of street parking. 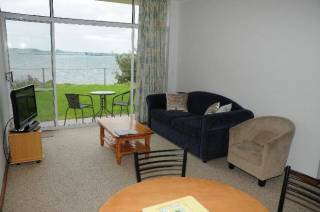 Port Lincoln Holiday Houses are situated in various locations in Port Lincoln. The self-catering houses all come with private on-site parking and an outdoor dining area with BBQ facilities. The air-conditioned holiday homes all have a lounge area with a flat-screen TV and DVD player. They also include a dining area and a fully-equipped kitchen with an oven, stove-top, and microwave. A hairdryer and complimentary toiletries can be found in the bathrooms. Towels and linen are provided. Each house has a garden, and some houses feature views of Boston Bay. 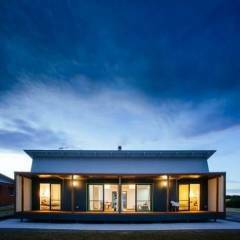 Serenity Holiday house located at 2 Finke Street, Kirton Point in Port Lincoln which is just 2 km from the CBD. Renovated and fully self contained. Great stop over or extended holiday accommodation for the business trip, family holiday or the romantic getaway. Serenity Holiday House offers the convenience of a home away from home. 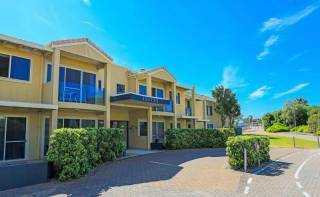 This centrally located home is only a 5 minute walk to the town centre and the well known Port Lincoln Hotel, where you can grab a quick bite, dine formally or dance the night away The location of Oxford Holiday house is also great for families. Flinders Park is situated only 50m away which is an ideal, safe environment for the kids to run around. With a local Deli located nearby, Oxford Holiday House not only offers a delightful setting to relax on your stop over, extended holiday, business trip, family holiday or romantic getaway but it also offers convenience. Clove Hitch holiday House located at 3 Knott Street, Kirton Point in Port Lincoln just 2 km from the CBD and offers the convenience of home away from home. Clove Hitch is a large 3 bedroom house which has been renovated and fully self contained. It has a large private garden with a fully fenced yard. Prior to arrival we will phone you for credit card details, these are held as a security bond, any damage to property, breakages or any extra cleaning costs will be charged to your card. You are requested to leave the premises in the same condition as upon occupation and will be responsible for any extra cleaning costs, replacements or damage which occurs as a result of your stay. 2. 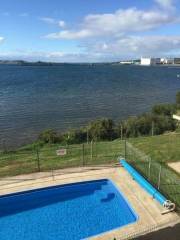 PORT LINCOLN HOLIDAY HOUSES is not responsible for any damage or loss to the guests property. 4. Faults or damages must be reported to the owner immediately. The guest is responsible for any damage to the property and its contents. 7. Check in time is 2p.m., with check out time 10a.m. A late checkout may be negotiated for an additional charge. 8. PORT LINCOLN HOLIDAY HOUSES has a no party policy. Guests will be evicted immediately with no refunds given. 9. We request that the accommodation is left in an acceptable state of tidiness; cleaning costs will be incurred by the guest if this is not the case. 10. Main guest must be over the age of 18 years old. 11. All linen and towels are included in your tariff, but guests are required to bring their own beach towels. Is there a security bond required? The Holiday Houses are fully self-contained: Facilities include a fully equipped kitchen with microwave and fridge/freezer. There is also a Flat Screen TV, DVD, Hairdryer, Reverse cycle air-conditioner & all linen is provided. What do I need to do when checking out? Please leave Holiday House in a clean and tidy manner including: washing any dirty dishes & putting away, placing rubbish & recyclables in the bins provided, a vacuum cleaner & general cleaning supplies have been provided for your use. I ask that you leave the property clean and tidy on departure and report any breakages or maintenance issues. Please turn off air-conditioner, all lights and lock all doors place keys back in the key garage or leave on the table inside. Cancellations notified more than 30 days prior to occupancy incur a $50 cancellation fee.